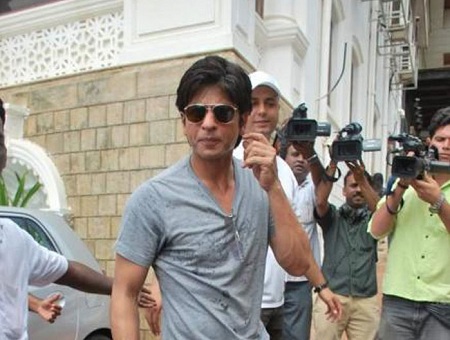 Shahrukh Khan, with members of the press, inside “Mannat”, his home. Shah Rukh Khan’s house is at Bandstand, Bandra, Mumbai. Please visit this page for more pictures of Shahrukh Khan’s Home, “Mannat”.